Beauty brand Wowo has apologised over a recent hullabaloo surrounding an ad for its makeup remover cleansing water, which got flak for looking oddly similar to a clips a Biore Thailand ad. In a statement to Marketing, a company spokesperson said that the brand’s head company Wowo Daipu (Shanghai) has carried out a thorough investigation on the matter, and explained the video was “an individual act by a distributor from [the] mainland”. The statement added that the company “withdrew the video immediately” and has taken disciplinary actions on the said distributor. “He has been revoked and is no longer Wowo authorised distributor. We sincerely apologised for the said incident,” the statement added. 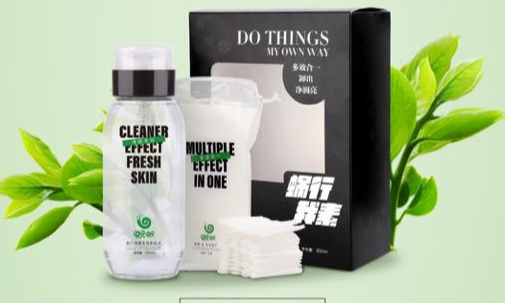 The brand was first thrust into the spotlight after netizens observed an ad for Wowo’s micellar water product bore similarities to a 2016 Biore Thailand ad which also promotes micellar water, also a type of cleansing water. In the ad, Thai celebrity Toey Jarinporn (pictured) is seen removing her makeup with Biore’s products. Similar clips with Jarinporn’s likeness were then used in the Wowo ad, with several edits made to the video such as the inclusion of a Wowo watermark and changing the product. This was according to a reader tip off sent to Singaporean blogger and influencer Wendy Cheng (Xiaxue). The ad was also posted on Wowo Singapore founder Evelynne Li’s Instagram page before it was taken down, multiple media reports read. Marketing has reached out to Biore Thailand for comment. This is not the first time the brand has gotten into PR drama. In April, the brand called out local influencers embroiled in a controversy surrounding its products. This followed a debate over whether or not its products were sold via a pyramid or multi-level marketing structure, a claim also shut down by the shampoo brand owner. Following the stir, a brand spokesperson asked to be dissociated from the conversation. Travel sector spend on programmatic ads increase: Where's the money at? Take a look at Abercrombie & Fitch's evolving design for its prototype store to be opened in Harbour City by the end of 2017 - it'..
More here on the hires. ..
High attrition rate in the agency world is a grave concern but not for Oliver Chong, AVP of brand and marketing communications, St.. In this cluttered market, with the holiday season fast approaching, how do you make sure your brand has an added shine? ..